Welcome to Minnesota & Wisconsin Wine Country! Welcome to Minnesota & Wisconsin Wine Country! Join us for an afternoon of leisure, scenery, and wine as we journey to picturesque vineyards and wineries nestled in the rolling hills, forests, and valleys of the Mississippi River. Each of the wineries we’ll visit have in recent years helped earned the new Mississippi River viticultural region national acclaim and recognition in the wine-drinking world. Our wine-tastings will include several varieties of reds, whites, roses, ice, and port-style desert wines. Guests can tour the vineyards and wine-making facilities, or just relax and enjoy the wine-tastings with seating on patios with panoramic views. Your hosts will talk about their vineyards, cold-climate grape varieties, and how they produce their handcrafted, award-winning wines. Rochester Trolley is happy to help you plan your itinerary with estimated times of arrival at each winery! 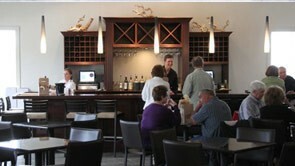 Private Parties make group reservations with each winery that they select! 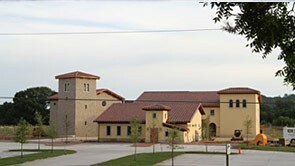 Wineries on the Great River Road “South” Wine Trail! Whitewater Wines ~ rural Plainview, MN ~ Family-run Winery in Scenic Remote Rural Setting! Whitewater Wines is a small, family-run winery located in the bluff country of southeastern Minnesota in the uplands of the Whitewater River Valley on 30 acres of prairie, hardwoods, and vineyards. The winemaker’s goal is to make great wine that people can enjoy in a beautiful rural setting. They currently have over 23 different grape varieties in a 2.5 acre vineyard, with a wine list that features nearly 30 different wines! Seven Hawks Vineyards ~ Fountain City, WI ~ Winery with Outdoor Deck in the Heart of an Historic River Town! Seven Hawks Vineyards is located one mile north of Fountain City, Wisconsin, on steep bluff lands overlooking the Mississippi River Valley. Their vineyards include almost 18,000 northern hybrid hand-pruned, hand-tended, hand-harvested grape vines, making them one of the largest vineyards in the upper Midwest. Their tasting room and wine bar is located in an 1870’s renovated gem, one of many fine old buildings in historic downtown Fountain City. Elmaro Vineyard & Winery ~ Trempeleau, WI ~ Elegant Country Winery with Breathtaking Valley Views! Spectacular, family-owned vineyard & winery where you’ll enjoy a wine-tasting with one-of-a-kind, away-from-it-all Mississippi River Valley views from a spacious outdoor patio! At Elmaro Vineyard, the focus is on producing the best wines possible and providing an unmatched setting in which to enjoy them. Guests can enjoy light plates with artisan meat, cheese, cracker, bread & olive oil options! Your Napa Valley, Close to Home! Danzinger Vineyards, perched atop the bluffs above historic Alma, invites you to enjoy a glass of their finest Estate wines while taking in beautiful views of the Mississippi River through picture windows from their tasting room or from their spacious outdoor stone patio. With more than 7,000 vines on 15 acres, Danzinger offers some of the most inspiring scenery you will find in the entire Mississippi River Valley. 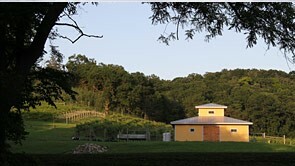 Garvin Heights Vineyard & Winery ~ Winona, MN ~ One of Minnesota’s Most Scenic Wineries! Riverview Vineyards & Winery ~ rural LaCrescent, MN ~ Friendly, Family-Run Winery on Apple Blossom Scenic Byway! Friendly, family-run winery in a spectacular setting along Apple Blossom Scenic Byway that rewards wine lovers with long bluff-top views of the Mississippi River & Valley! Riverview is the perfect place for a great conversation as you sip wine from a serene outdoor patio high above a wide stretch of slow blue waters of the Mighty Mississippi! Great River Road National Scenic Byway ~ Most Scenic Drive in America in 2012! Downtown LaCrosse, WI ~ Among the most Historic & Unique River Towns in the U. S.! Grandad Bluff Scenic Overlook ~ Highest overlook on the Upper Mississippi from which visitors can see the land of three states – Wisconsin, Minnesota, and Iowa! Historic Trempeleau, WI ~ Famous for its Landmark Hotel & Unique “Mountain” Bluff rising from the middle of the River! Historic Downtown Winona, MN ~ Renowned for its Prairie School Architecture, Stained Glass Windows, and historic charm!